ROB has a field trip! On 15 and 17 May, the personnel of the Royal Observatory got the opportunity to visit the ROB's research facilities in the caves of Rochefort-Lorette and at the observatory of Humain. People arrived by bus, car, or a combo train/bike. In Rochefort, they first got a brief description of the cave network. 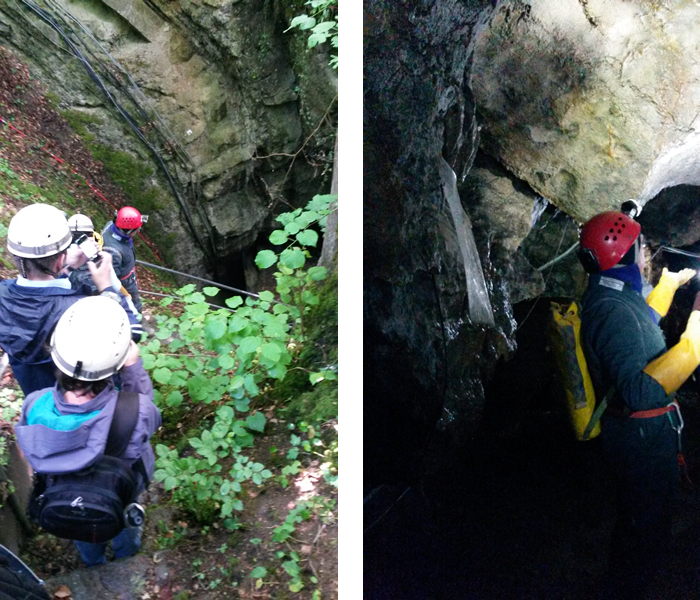 Then, the gravimeters were shown, after which the group descended 250+ stairs to enter into the cave. Here, the main fault was shown, as well as some of the instruments that are being used to measure its movement. After having climbed the 250+ stairs back into the open air, the offered lunch and drinks were highly appreciated. The visit to Humain consisted of two parts. First was a brief presentation on the research on variable starts that is being done there, followed by a visit of the main telescopes. 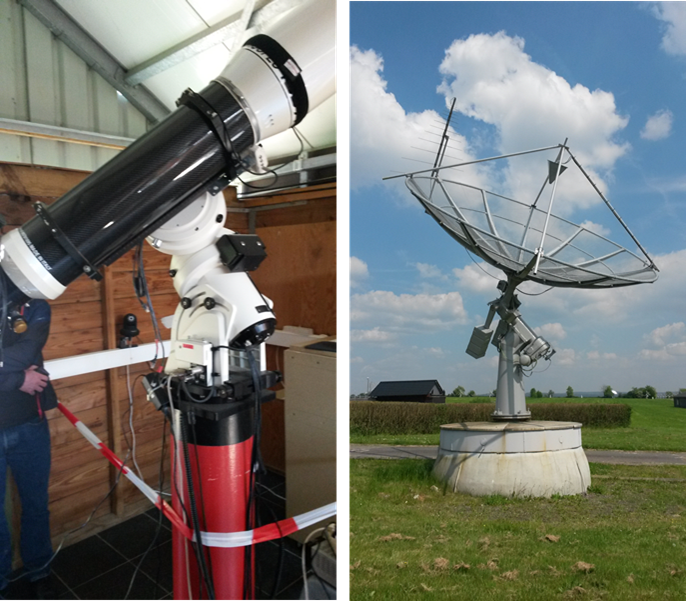 The second part consisted of a visit of the radio-telescopes and an explanation on the solar observations that are being done with these instruments. There was of course some time for the history of the site and to enjoy the landscape, before the participants headed back to the Space Pole plateau in Uccle. A very big thank you to Michel, Yves, Patricia, Paul, Antonio, Christophe, and everybody else who made this a very enjoyable day! Underneath an animation from a selection of pictures taken during the visit.